One of the biggest problems with air ducts is the fact that you can’t see them. Nobody would let their home get as dusty, dirty and potentially filled with mold, bacteria and allergens intentionally, but since people don’t notice it within their air ducts they just let it build up over time. It is recommended that people perform air duct cleaning in Las Vegas at least once per year, and possibly more often if you have pets. Since you can’t really stop and clean your air ducts on your own, however, almost everyone ends up hiring professionals to do it for them. Even if you have a high quality furnace or air conditioner filter there are small particles of dust, dander and other impurities that can get through. Some of them can also get around the sides of the filter if it is not fitted properly. Air ducts can also get dirty when the fan is off and dust and other items settle into the vents. The fact of the matter is that over time your air ducts can become home to many impurities which are not only gross, but can also be very unhealthy. your home to get dirtier much more quickly. When you have a lot of dust and other items in your air ducts small pieces of it will be blown out into the air. It then settles on the surfaces in your home causing them to get dustier more quickly. Air duct cleaning in Las Vegas results in a cleaner and healthier home. Having professional air duct cleaning in Las Vegas done is a really simple process. You can hire our team of professionals to come out and take care of everything for you. We’ll use our powerful cleaning machines which are designed specifically to clean deep inside your air ducts. It has a vacuum with an attached brush that will scrub out the inside of your air ducts quickly and completely. Since the vacuum is sucking the air in you won’t have to worry about the dust getting pushed out into your house either. Most people find that after they have their air ducts cleaned their home has a noticeably cleaner and fresher smell to it. We also recommend changing your filter when this is done to help keep your ducts cleaner for longer. If you have pets in your home make sure you have your air duct cleaning in Las Vegas done more often to help eliminate the pet hair and dander which many people are allergic to. We can also recommend how often to get them done based on what we find in your air ducts when we come out to clean them. 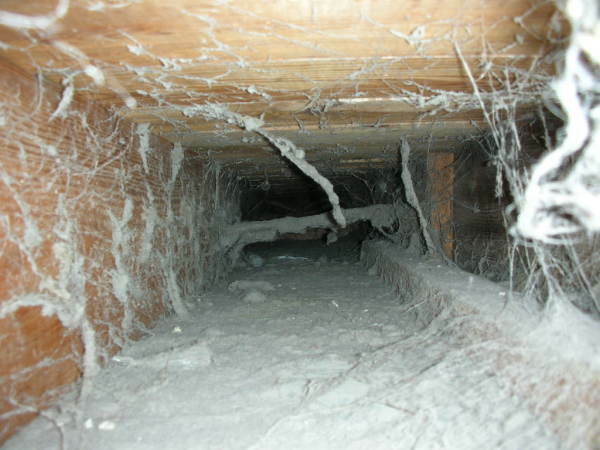 With an annual cleaning of your air ducts, however, you’ll be able to enjoy a cleaner, healthier home all year long.